I now feel the same way about these stories; when she first told them to me, on walks, on train journeys or at bedtime, from my earliest years onwards, I had no idea how these stories were going to shape my life. I shall never forget them, and I’m delighted to pass on the gift of this new collection to you. 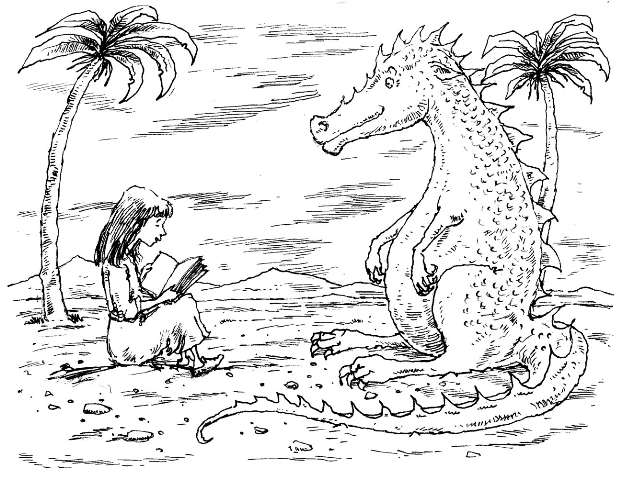 Author Katherine Rundell wrote: “The voice that tells these stories is wiser and braver than us…someone who knows the ways of the world and loves it anyway.” Joan Aiken knew hundreds of stories, and could weave them together and make them her own – she filled them with all the elements that the young imagine and desire – whether it be friendship or delectable food, magic or hilarious mayhem, wild adventure and danger, or a warm and happy ending. Real family members can be just as formidable, or unforgettable. John Sculpin’s mother cannot get her hapless son to remember how to get rid of a witch (the countryside where they live is sadly infested with them) but when one of them, in disguise of course, sells him a poisoned toothbrush, and a fly drops dead after landing on it, his mother knows he can’t have brushed his teeth! Joan Aiken creates the warmest and most loving mothers and grandmothers who show their care by giving up their greatest treasures, or passing on their wisdom in unexpected ways. There are deaths too, and great sadness for those left behind, but hope and help are offered for ways to remember the love and wisdom of those we have lost. A Joan Aiken heroine may lie down and cry her heart out, but she’ll accept her loss, and make use of the gifts that came from the relationship – whether it is learning to speak to the bees and teaching songs to a bird, or helping to make a flute that brings back a forgotten melody and restores a family tradition. FINDER PLEASE RETURN TO WORMLEY MUSEUM. REWARD. The voice that tells these stories is wise, and funny, and generous in the wish to pass on everything she has learned from reading and loving stories herself. There is treasure here, and wisdom, and a sense of what it is we sometimes only half-remember from the mysteries of childhood. These stories will take you there again. 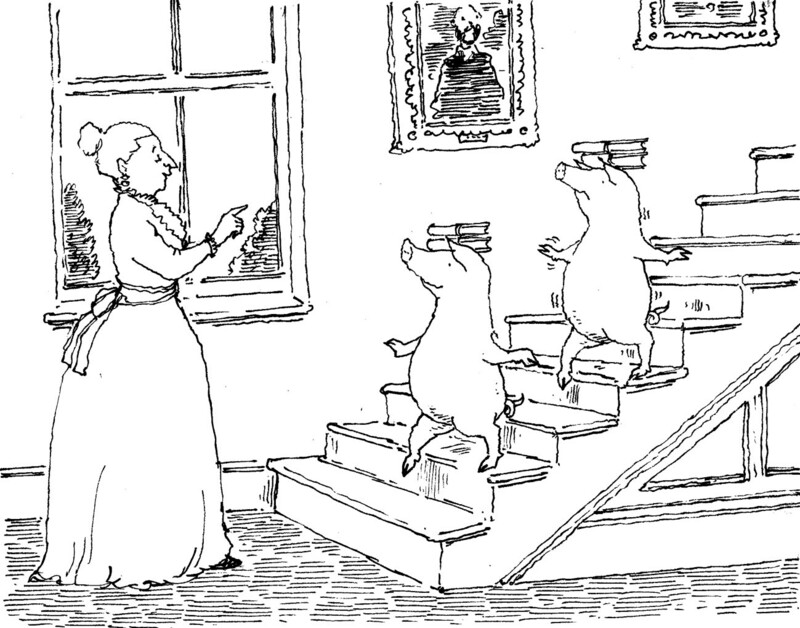 Or in a Joan Aiken story? My grateful thanks to Virago Modern Classics for re-publishing these stories, and to Peter Bailey for his delightful illustrations. 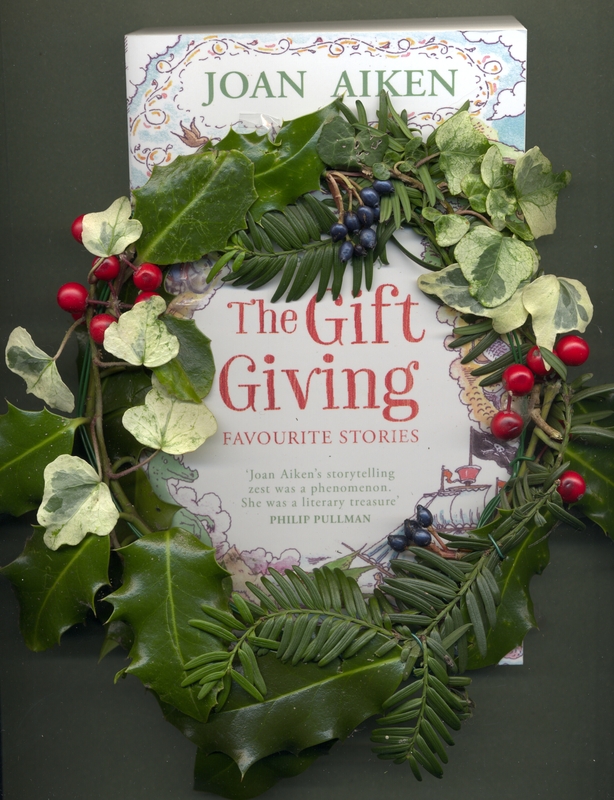 This entry was tagged Joan Aiken Favourite Stories, Peter Bailey illustrations, The Gift Giving, Virago Modern Classics. Bookmark the permalink. 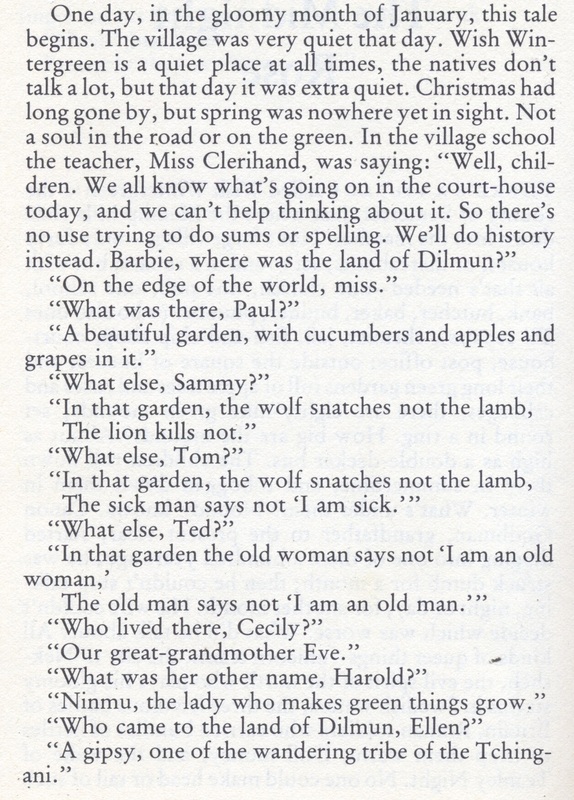 Yes, I love how Joan Aiken continued in the Nesbit tradition — with her own inimitable twists! I will definitely be gifting this to myself and my family. Thank you so much Lory, this has been such a special publication, I’m so happy to see these really wonderful stories coming out again, and of course bringing back my own best memories. Needless to say, Lizza, I shall be dropping some hints at home about this in the run-up to Christmas. Yes, they have a timeless yet modern feel to them.